Every year the Prepaid365 Awards attract sponsors and media partners from across the globe who help make the awards better and more far reaching. Over the last 6 editions, that has meant a quantum leap from 10,000 consumer responses to over 1,500,000 being sought via email surveys and social media at the 2014 edition with that figure set to rise to over 2,000,000 consumers in 2015. Over the years, we have been privileged to enjoy the support and patronage of our sponsors and media partners who have supported us in creating, organising, managing and delivering these awards each year. Sponsorship of the awards provides sponsors with unique exposure to a very targeted and focused audience that has expressed an interest in prepaid cards as well as a highly varied social audience via the social sponsorship options available. Hence, if you are looking to raise your profile or announce your brand to consumers in the UK, the Prepaid365 Awards provide you an unmatched opportunity to showcase your brand before consumers. The Prepaid365 Awards provide a platform for Companies to achieve significant brand exposure via our tailor made sponsorship packages designed to suit your company’s needs and budget. Associate your brand with rewarding and recognising prepaid innovation and excellence. Showcase your brand to over 2,000,000 UK consumers across the web and social media and enhance brand awareness and positioning. Reach a targeted audience that includes consumers as well as payments industry peers. Benefit from a marketing activity programme that keeps your brand in the spotlight before, during and after the awards. Show your support at one of the key events within the prepaid industry calender; the only dedicated and fastest growing consumer prepaid awards event. 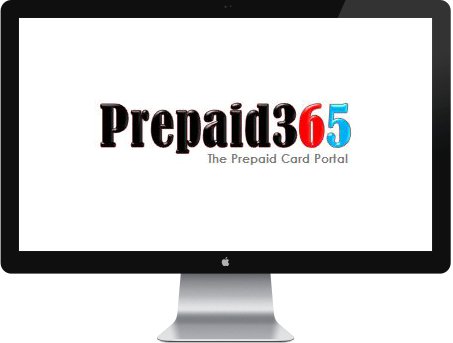 Find out more about the Sponsorship options available at the Prepaid365 Awards as well as previous sponsors of the Prepaid365 Awards here. In addition to our wonderful sponsors, Prepaid365 has enjoyed and continues enjoys wonderful support from programme managers, prepaid providers, industry partners and media partners who have supported the Prepaid365 Awards through the years. They have palyed a pivotal part in the growth of the Prepaid365 Awards as well as extending the awareness and reach of these awards. So if you are a prepaid organisation, media house, blogger, journalist, TV or Radio station and are interested in becoming an Industry or Media partner for the Prepaid365 Awards, please get in touch with us. Find out more about how your organisation can show its support for the Prepaid365 Awards as some of these Industry and Media Partners have done in the past.